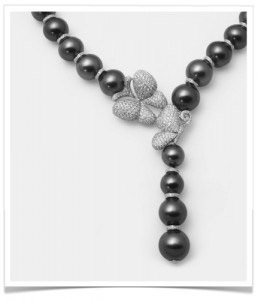 Yesterday, I discovered the most beautiful black pearls for women in the world. It is located in Paris closed to the place Vendôme. In a small black window, I saw a very powerful light beam which surrounded me and lead me for a couple of hours in the world of the South Seas. If you want to live this experience, visit: http://www.robertwan.com/fr. 222 rue de Rivoli Paris districk 2, and discover the universe of the last Prince of South Robert Wan. pearls, the great Mr. Robert Wan. You will never regret it. Welcome in the world of black pearls. It is more than a jewlery, it is a myth! This entry was posted in BREAKING MODE, BREAKING NEWS and tagged modeaparis, MODEPARIS, wan by admin. Bookmark the permalink.